The Revenge of Tirpitz, by M.L. Sloan, is a thrilling action-packed WWII adventure across the generations, featuring spies, ships, and Nazi gold. The book interweaves stories from two eras. In Norway, in 1944, young Norwegian Erik becomes friendly with the German radar operator Hans, and soon becomes embroiled in a plot to help the allies in the war against Germany – most importantly, by helping attack the huge Nazi warship, Tirpitz, scourge of Norwegian waters and the terror of the Allied convoys. In Shetland in 2014, Finn is visiting his Norwegian great-grandfather when the old man is shocked by the appearance of a letter threatening the “revenge of Tirpitz“. What does Finn’s great-grandfather have to do with the attack on Tirpitz all those years ago? The story ties in with the real history of the “Shetland bus”, where dozens of little craft, mostly fishing boats, made the perilous journey between Shetland and Norway, delivering agents and saboteurs to Nazi-occupied territory. The historical detail is superb, and Sloan fills in the gaps expertly, resulting in a thoroughly exciting tale that has the ring of real historical plausibility. The characters are sympathetic, and the growing friendship between Erik and Hans is well-realised. The moral complexity of the German Hans’ internal conflict at conspiring against his countrymen provides an added level of depth to the story, too. The ending is brilliantly satisfying, and ties up the story nicely. The significance of the new boat’s name was perfect! 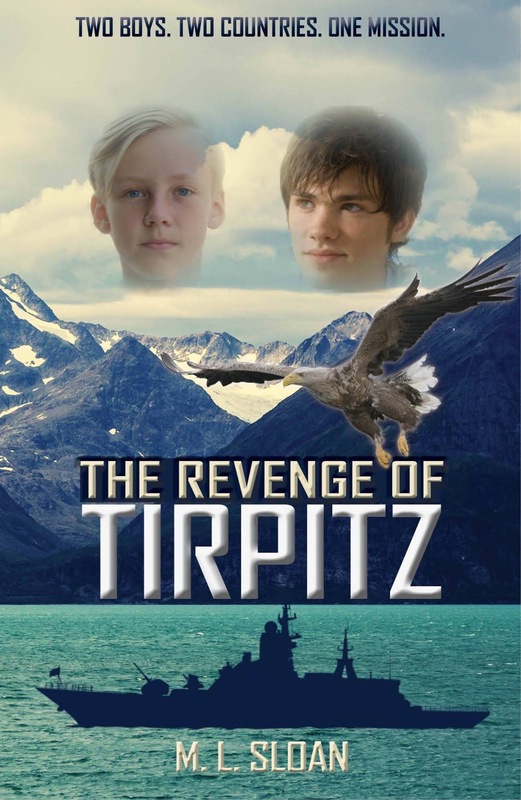 The Revenge of Tirpitz is a fantastic tale of courage and determination in the face of evil, and highly recommended for anyone who likes wartime adventures. Fab as always! Look forward to reading this! Thanks, Chimney Rabbit!